Where can you ride a tube train along a pier? 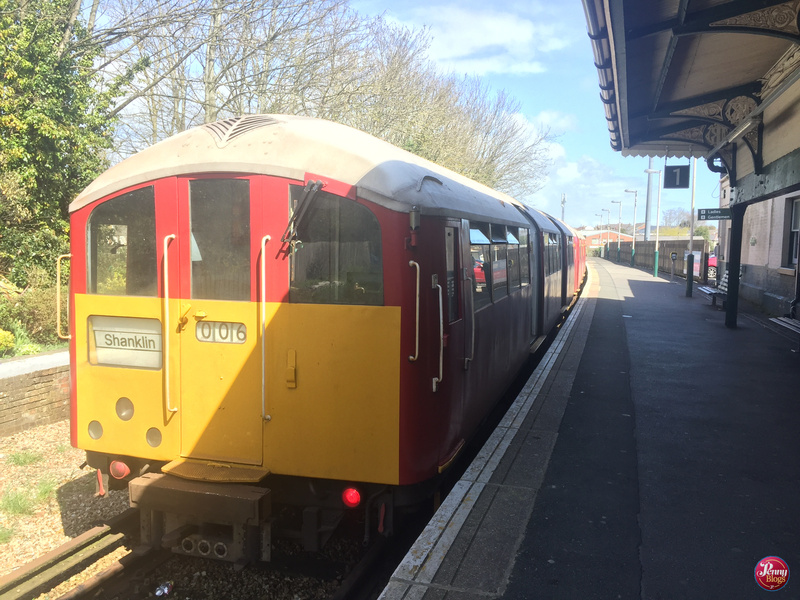 On the Isle of Wight’s Island Line – that’s where! Not everyone realises that the Isle of Wight has its own railway. Fewer people realise the historical significance of it, especially for lovers of the London Underground. Let’s start with the basic facts. The Island Line runs between Ryde on the north of the Isle of Wight and Shanklin, which is eight and a half miles south along the Eastern coast of the island. It is actually part of the main National Rail infrastructure and is currently under the South Western Railway franchise. You can plan journeys via the main online National Rail planners and can use all regular railcards and through tickets on the service. The northerly most station is Ryde Pier Head, where the service connects with the passenger ferry to Portsmouth Harbour. It then continues south through Smallbrook Junction, which is an unusual station in that it exists purely to serve the Isle of Wight Steam Railway. There is no separate public access and was actually opened by British Rail in 1991 when the Steam Railway was extended to reach the Island Line. It is therefore only served by Island Line services on the days that the Steam Railway is running. The southern terminus is Shanklin, yet originally the route extended on to Ventnor but services on this section ceased in 1966. So, what makes it so special you may be wondering? I fully admit that all the above just makes it sound like a regular train service? The answer lies in the rolling stock. The Island Line is served by 1938 London Underground tube stock and when you’re travelling on board you can expect to be somewhat confused about where you are and where you’re going, simply because it still just feels like you’re in London as soon as you step aboard. The reason for this slightly strange old rolling stock is because the ceiling of the Ryde tunnel is 10 inches too low for “standard” National Rail rolling stock. 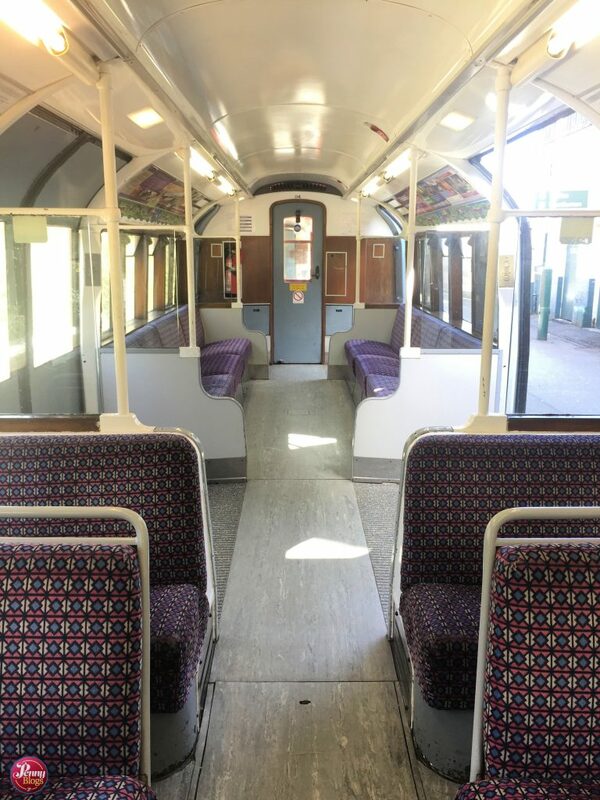 This means that the 1938 tube stock has the honour of being the oldest passenger rolling stock operating timetabled services on the National Rail network. 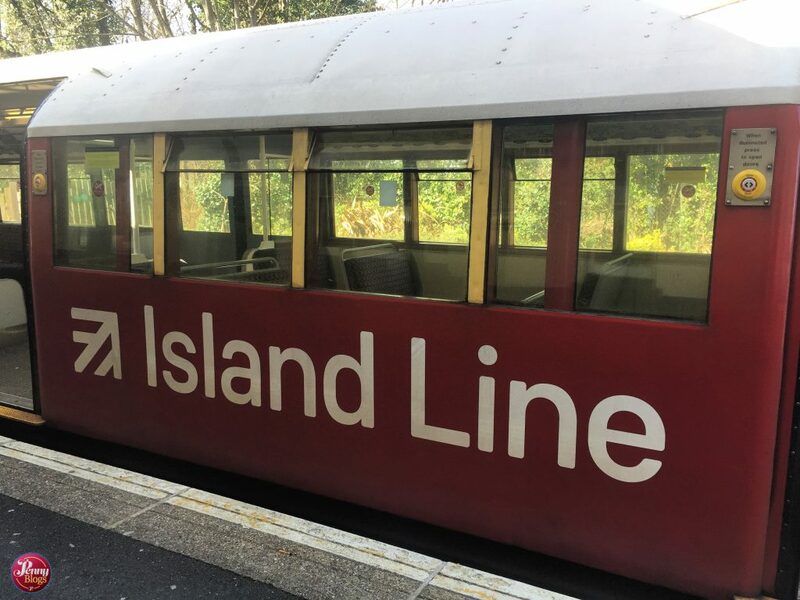 As well as feeling like you’re in London, a trip on the Island Line is also a bit like a trip back in time. All the stations have a vintage feel to them, with lots of cream and green paint and old fashioned signs and station canopies. 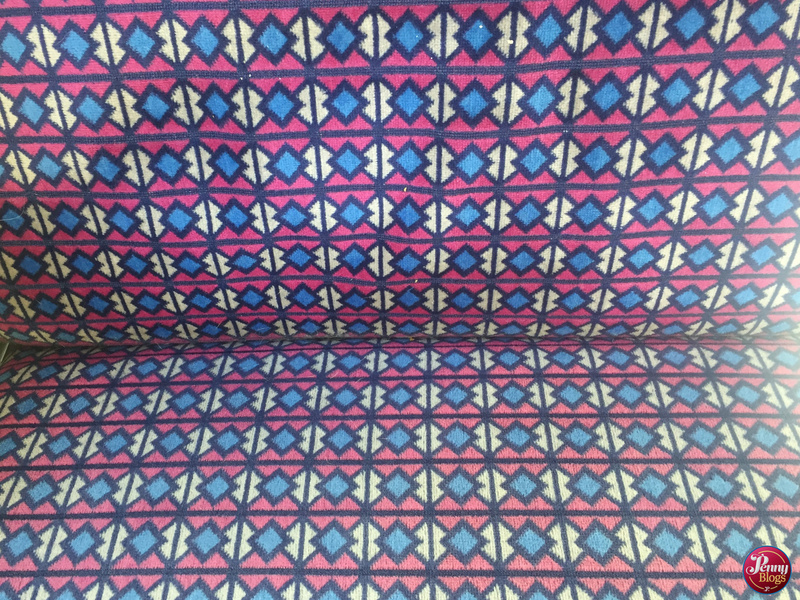 I also wouldn’t be a proper train geek if I didn’t mention the moquette. 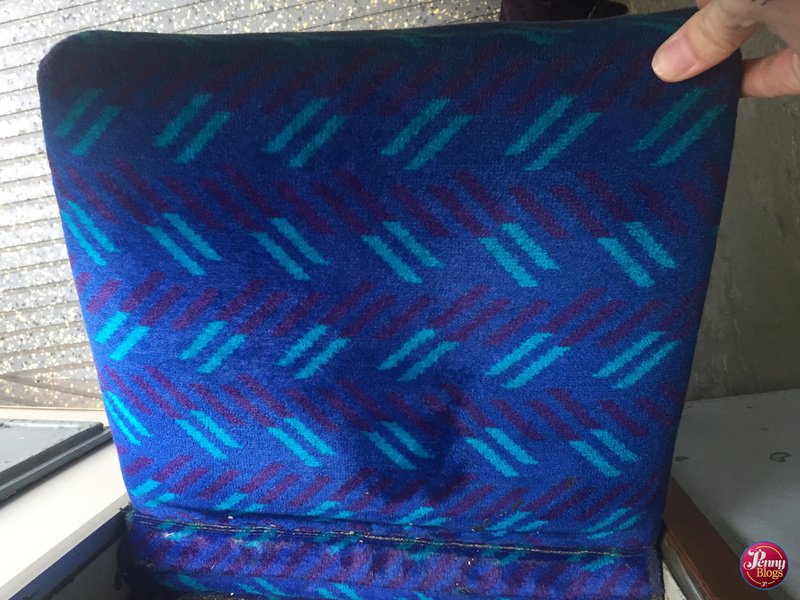 There you reveal a different moquette design – one that I think was a Network Southeast National Rail design. Although I’m trying to double check that fact! What you do notice as you travel on the Island Line is just how the rolling stock wasn’t really designed for this kind of journey. You really feel yourself being bounced along as you travel and as much as I love the Island Line I just couldn’t ever call it a “comfortable” ride in that sense. If you’ve ever lived or commuted in London though you’ll find it a slightly strange travel experience. It feels, and sounds, just like the London Underground, yet the view out of the window is a million miles away. As you go along Ryde Pier you’ve got the Solent on either side of you and you can watch the Hovercrafts. You don’t get that in Zone 1! Why not join Bonn and I as we travel along the Island Line? 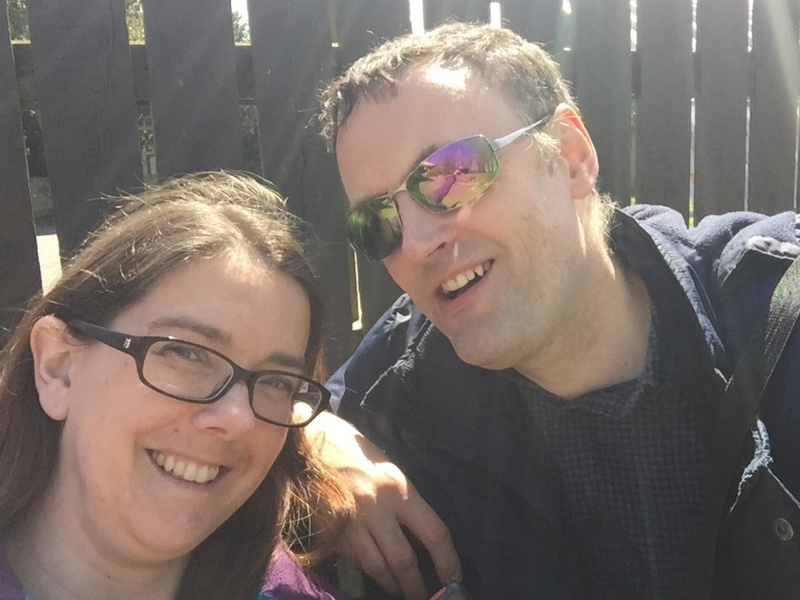 We’re delighted to say that episode 2 of our new Hobbies and Interests podcast was recorded as we travelled along the Island Line earlier in the year. Why not plug in your headphones and travel with us? Hovercraft – the geekiest way to travel? When I heard that Bonn had another job over on the Isle of Wight I knew I had to go with him. Heck, one of the first conversations the pair of us ever had was about the island’s train service (a post on that soon). The place is a transport geek’s paradise. Now only do you have vintage tube trains providing a mainline service. But there is also the geekiest method of sea travel known to man. The hovercraft. 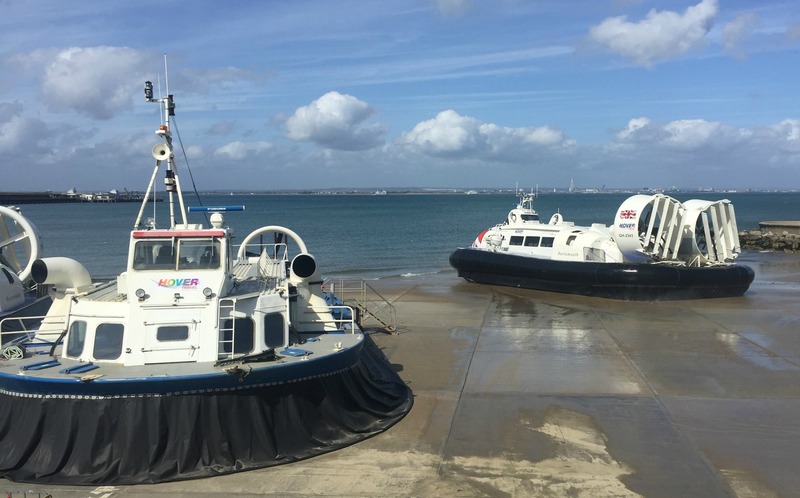 Hovertravel have been providing passenger hovercraft services between Portsmouth and Ryde since 1965. In fact, it’s the only commercial hovercraft service in Europe. Can you get any geekier than that? The fact we had to take a car with us meant that we travelled over to the Isle of Wight by more traditional car ferry this time. We’re determined however to take the hovercraft next time. Even if it does mean going backwards and forwards across the Solent a couple of times to make the logistics work! With it only being a ten minute journey that shouldn’t be too problematic. If you’re on the island there’s a fantastically positioned footbridge over the train line that provide a brilliant vantage point. You can stand there and watch the hovercraft arrive and depart for as long as you want. I can promise that you’ll be astounded at their turnaround time. That’s one of the big advantages of a hovercraft for foot passengers. The fact that they can just pull up onto a beach or other landing area means that there isn’t time spent docking. You also therefore don’t need so much infrastructure to support them. And not forgetting. It just looks damn cool! I’m pretty sure that any true transport geek wants to get their head around how the hovercraft actually works. That’s where the wonderful Ladybird books has all the answers for you. Collecting vintage Ladybird books is one of my hobbies and I was therefore thrilled to see a copy of their “How It Works – The Hovercraft” book when I was in the Hovertravel terminal in Ryde. You can read all about it here and pop over to their website to buy a copy online too. Hovertravel provide a passenger hovercraft service between Southsea, Portsmouth and Ryde, Isle of Wight. In Portsmouth there is a Hovertravel run Hoverbus that connects Southsea to Portsmouth Harbour. In Ryde it is only a short walk to Ryde Esplanade station on the Island Line and Ryde bus station. You can find out more about Hovertravel, including their timetable and fares, over on their website.